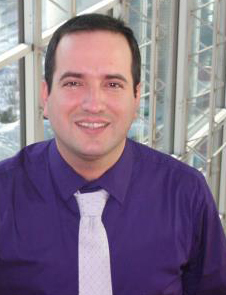 Rafael received his PhD degree in Computer Science from the School of Electrical Engineering and Computer Science at the University of Ottawa in 2012. Previously, he attained his Bachelor and MSc degrees in Computer Science from the Central University of Las Villas. He currently works as a Research Scientist for Larus Technologies Corporation, an Ottawa-based firm that specializes in high-level information fusion and decision support from a computational intelligence angle. His research interests are in the area of Computational Intelligence with applications to security and defense, including wireless sensor networks, robotics, maritime domain awareness and multi-sensor data fusion. He has co-edited four Springer monographs and published over 60 journal and conference papers. He is a senior member of the IEEE and a member of the IEEE Computational Intelligence Society, the International Rough Sets Society and the Canadian Artificial Intelligence Association. He served as the IEEE Ottawa Section Secretary during 2016 and is currently the Vice-Chair of the IEEE Computational Intelligence Society’s Security, Surveillance and Defense Task Force and the Chair of the local IEEE Computational Intelligence/ Systems, Man and Cybernetics Ottawa chapter. Rafael is a recipient of the 2011 IEEE CIS "Walter Karplus" Graduate Student Research Grant, the National Sciences & Engineering Research Council of Canada's Industrial Research & Development Fellowship, the Ontario Centres of Excellence's First Job Award, the 2009-2010 Ontario Graduate Scholarship, the 2014 MITACS and NRC-IRAP Award for Commercialization and two MITACS Accelerate PhD Fellowships.